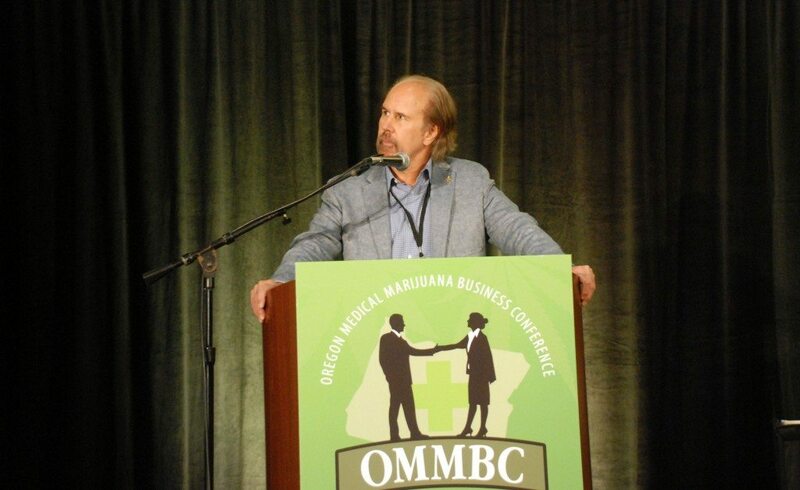 More than 600 people crowded into the downtown Portland Hilton to listen to keynote speaker Jim Gray, a former federal prosecutor, California Supreme Court Judge and Libertarian vice-president candidate, skewer the Drug War and give his vision for federal drug policy. Judge Gray predicts the federal government will end prohibition soon, with California’s legalization effort the national tipping point. (Tomorrow’s keynote is Congressman Earl Blumenauer and a few one day tickets are still available). 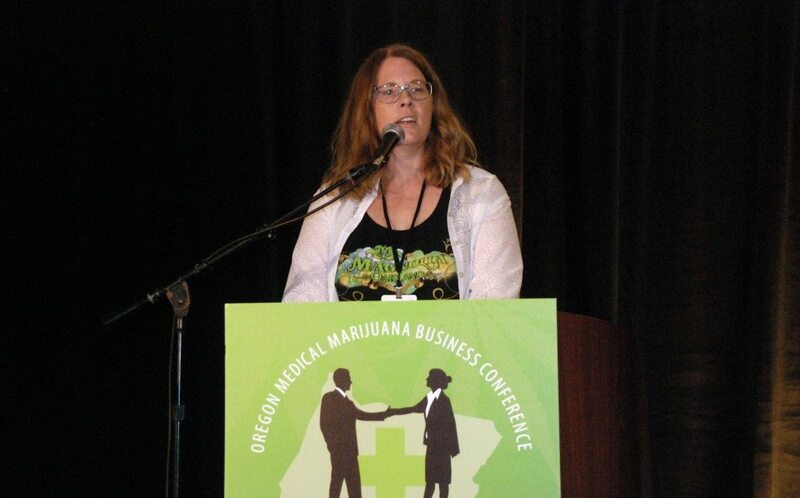 Following Judge Gray was Anthony Johnson, our Blogger-in-Chief as well as Executive Director of New Approach Oregon, who provided a lay of the land as Oregon has passed not only legalization, but new medical marijuana regulations. 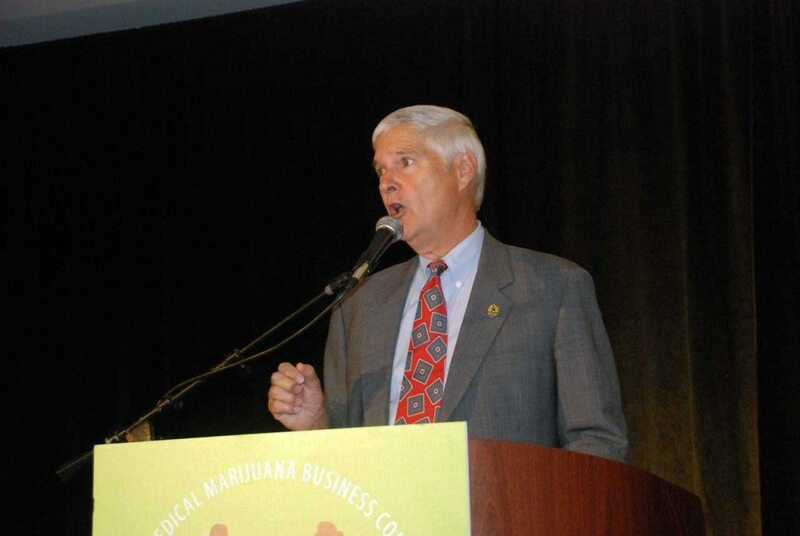 As Director of the Vote Yes on 91 campaign, co-author and Chief Petitioner of Measure 91 and selected for the OLCC Rules Advisory Committee on marijuana legalization, Johnson has been in a unique position to discuss the intent of Measure 91 and how the state has adapted the legalization law. Representative Ann Lininger and Senator Floyd Prozanski followed Johnson, recapping the past legislative session and providing a glimpse into upcoming legislative sessions. 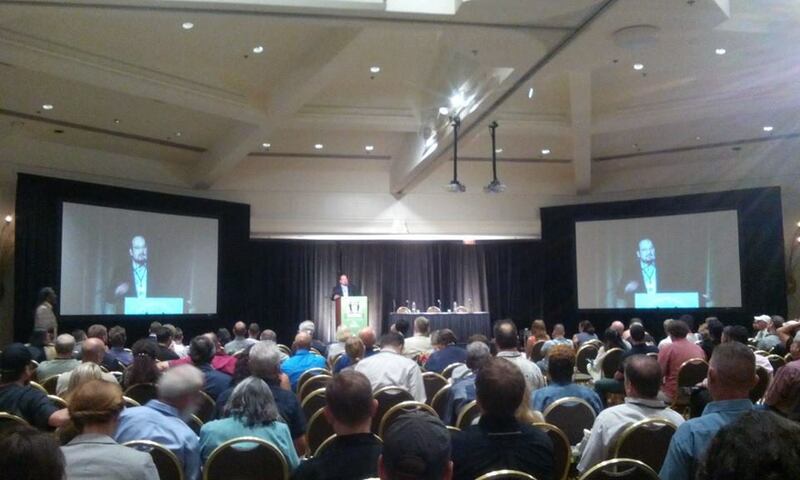 The rest of the day was filled with lawyers and experts, providing important information to attendees. We’ll have more on the conference soon, in the meantime, below were just a few pictures snapped by attendees. Legal tax expert Henry Wykowski. 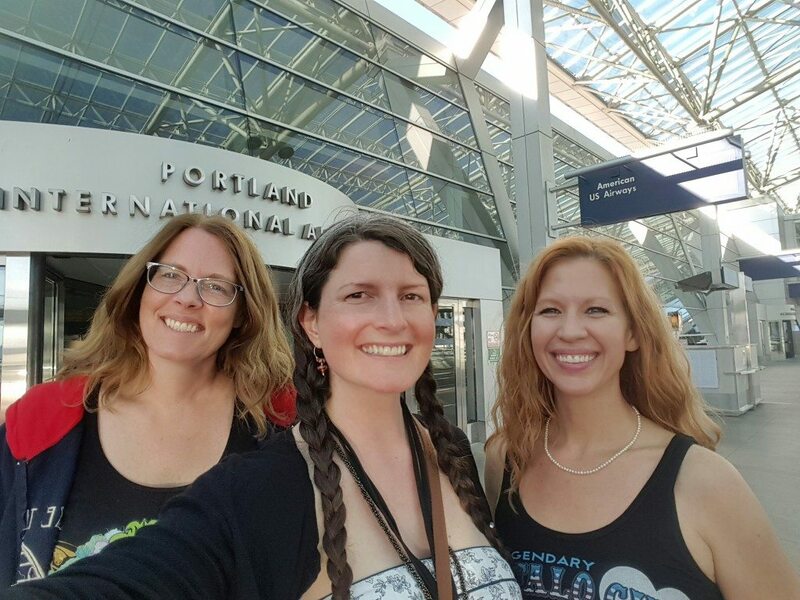 Debby Goldsberry and Dale Sky Jones, two California activists that were in and out for the conference, were in good hands with longtime cannabis activist Sarah Duff (middle). More pictures and commentary coming soon!